it's only an hour early. But hey, I'll take it! Because that's an hour more that we can sit around and talk with our teammates and become better friends collaborate with our team. We planned - I promise. And even when I DO decide what I want to do, I come up with activities on the spur of the moment and don't get to do what I actually had planned....ha! Yesterday's activity was NOT in my original plans. I just kind of made it up. 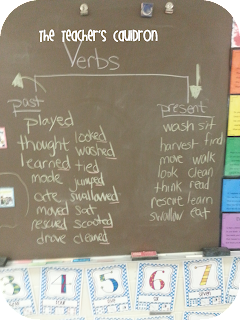 Their morning work when they came in was to walk around the room and find some verbs and write them down. Now, some of my friends and I were having a debate on what to call this. Do you call it "Read the Room" or do you call it "Write the Room?" 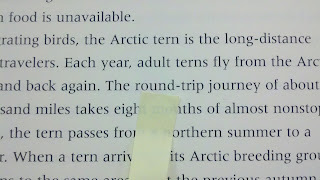 So I changed it to say "Word Hunt" - haha! 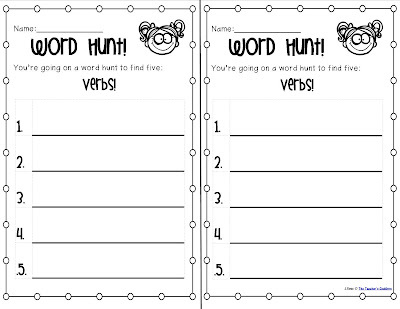 You can click the pic to get the freebie - there is one that says verbs, and one that just has a line so you can print it up and just write one the line what you want them to find. Check out THIS post to read more that one...I did a whole week series on it. 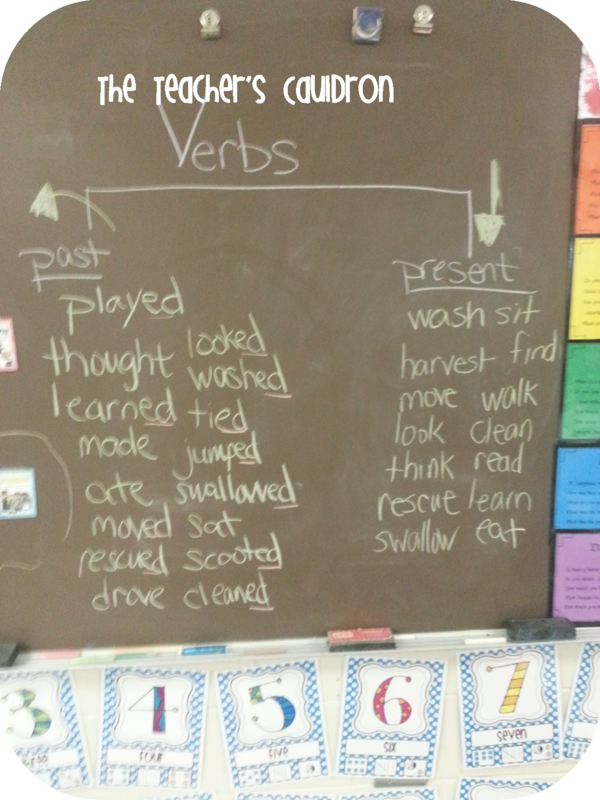 Anyway, then we sorted the verbs into a tree map - past or present. 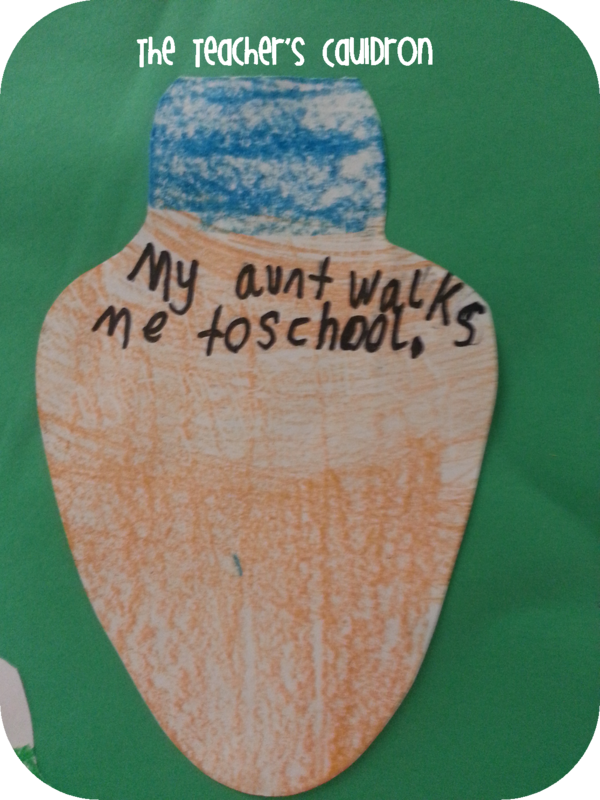 Then they had to pick one verb from each branch of the tree map and write a sentence on a light bulb. 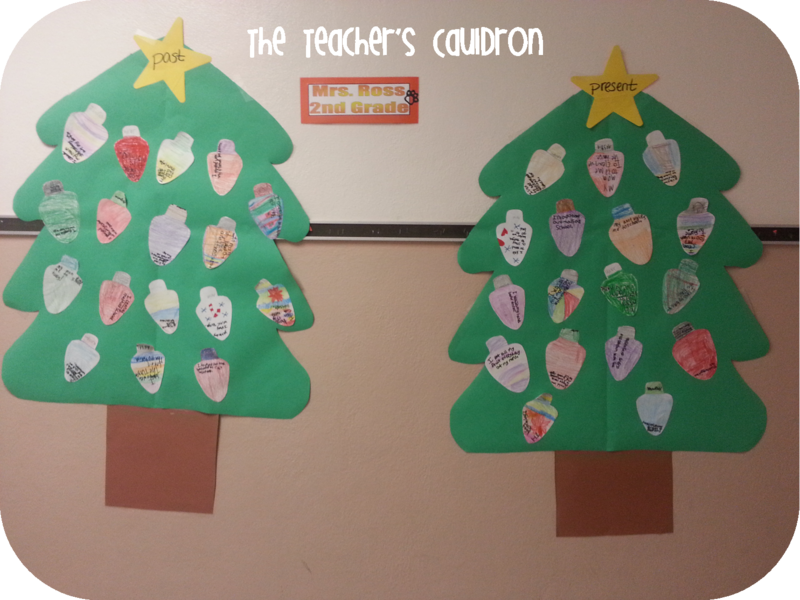 Then we made a present tree and a past tree. Go see more ideas for grammar activities at Lori's Linky! 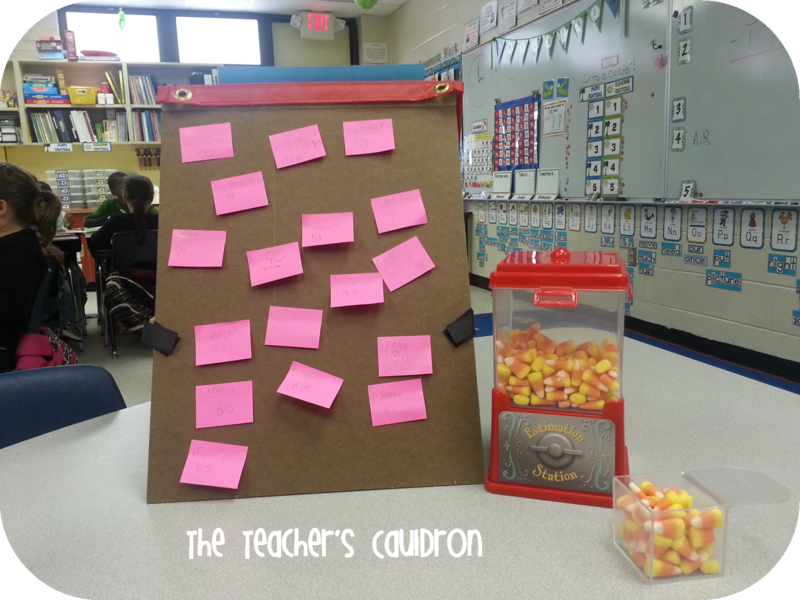 Also - one of my new favorite things to do is the Estimation Station. I realized how much the DON'T know how to estimate...so hopefully this will help! I'm super excited about it! I will be back tomorrow to show you some of the FUN stuff that I grabbed during the sale!! Love the past and present trees! Too cute! Just going along reading one of my favorite blogs and then B-O-O-M! Shout out! I just love ya to pieces!!!! Jen, the verb trees turned out super cute!! Your blog is fabulous! Thanks for the great tree ideas and I look forward to following you! Thank you for sharing the word hunt printable! I've been using it with my kinders!